Go Green, use Eco friendly products, enhance recycling methods, these are the concepts introduced by people to save our Earth from global warming. Every individual should follow these concepts in one way or the other. We can use Go Green products which are available in market. We have many products which are Eco friendly. Apart from products, there are many concept designs day by day to make products Eco friendly and energy efficient. 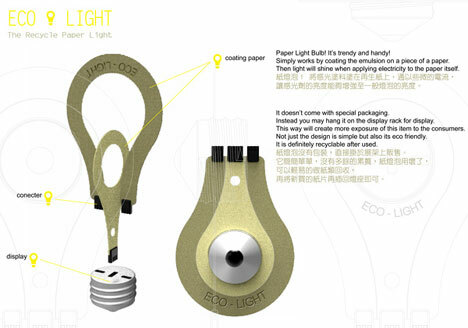 One among them is Liteon Eco light concept from Tien-Ho Hsu. Taking into consideration of typical rounded shaped bulb, Tien has used a paper to prepare this bulb. 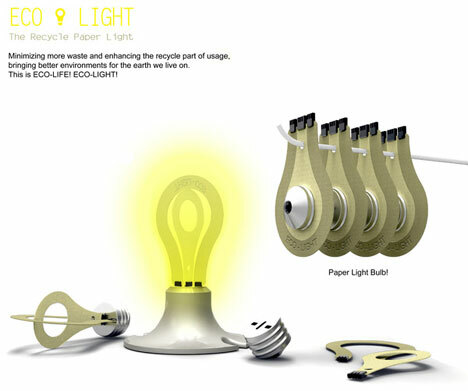 This Eco Light bulb works by coating paper with a special conductive emulsion. When electricity is applied to the emulsion, it glows as brightly as a conventional light bulb. By serving the purpose of light bulb, it's more energy efficient and minimises more waste and enhances the recycle part of usage. This bulb can be plugged into electricity dock . 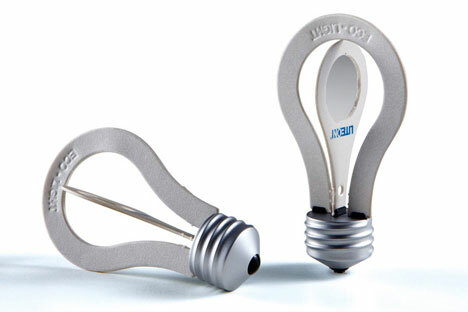 Once electricity is supplied, it works as normal conventional bulb. Once its life time is completed, we can recycle it along with normal paper. Its amazing concept isn't ? Do you like this concept ? Will you recommend it to be Go Green product ?